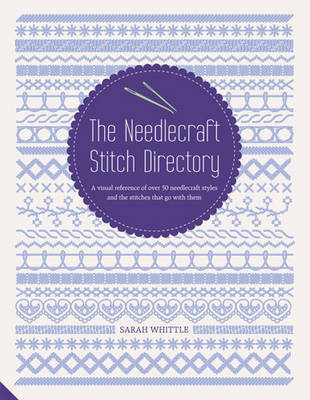 The Needlecraft Style Directory is a comprehensive and accessible guide to stitch craft, for crafters of all levels. The book reveals exactly what each type of needlecraft involves, the basic stitches needed and the common characteristics of each stitch, allowing the reader to select the best technique for their designs. Divided into two main sections, the first part of the book explores an extensive variety of needlecraft styles, covering everything from candlewicking to crewel, sashiko quilting to smocking and needlepoint to needle felting. Galleries of finished pieces provide inspiration and ideas for creative new projects. Outlining the basic technique, tools, materials, and common applications, each entry also highlights the most common stitches used for each style, while cross referencing these stitches in section two. Guaranteed to prove useful to all crafters, the second part of the book is organized as a stitch directory, complete with easy to follow diagrams that show readers how to work each individual stitch required for their chosen needlecraft style, as well as featuring overviews that present the stitches worked in various styles on finished pieces. An extensive glossary concludes the book, clarifying and demystifying a wide range of terms that can often prove confusing to even the most experienced of needlecrafters. The Needlecraft Style Directory is the ultimate reference for embroiderers, sewers, quilters and needlecraft enthusiasts of all levels.